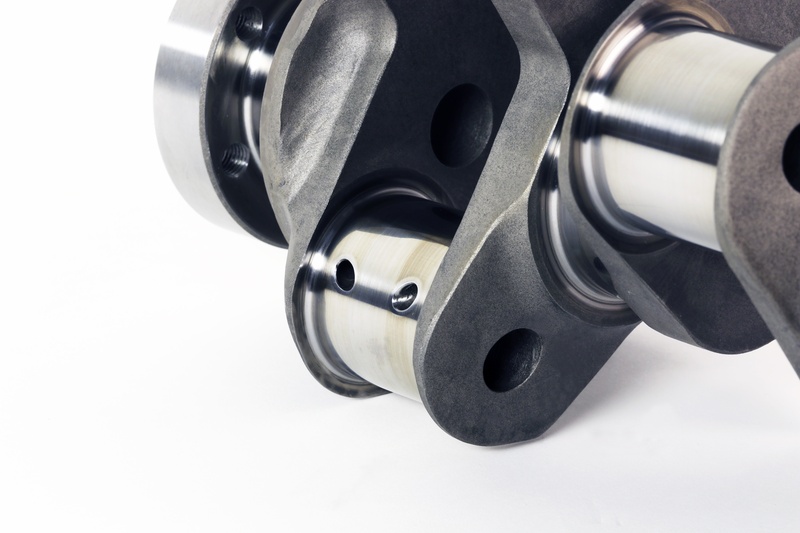 K1's LS7 crankshaft features straight shot oiling on the journals, which are machined to +/- 0.0001-inch. K1’s 4.00-inch stroke, LS7-replacement crankshaft takes Chevrolet's OEM design to the next level. It features an extended snout, to accommodate factory LS7 dry-sump oiling and will be offered with or without reluctor wheels. Based on a 4340-steel forging, strength is further bolstered by large-radius fillets on the main and rod journals which eliminate stress in critical areas. Forged from 4340 steel, the LS7 crank is ready to handle serious power. Nitriding on main and rod journals adds to the toughness, while aerodynamically profiled counterweights help with windage efficiency. Oiling performance and windage are improved through the use of straight oiling holes on the rod journals and aerodynamically profiled counterweights, which slice through crankcase oil mist more efficiently. 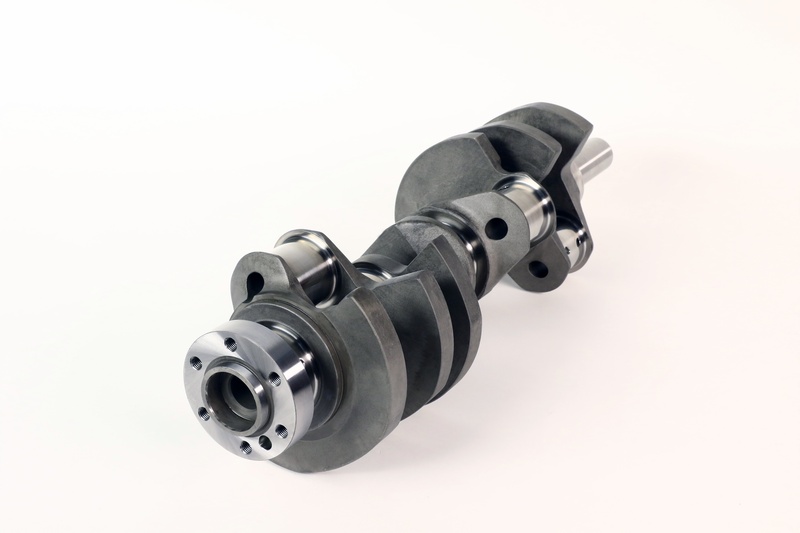 Each crankshaft is heat treated via core nitriding for exceptional hardness and durability and machined to an exacting tolerance of +/- 0.0001-inch. K1's LS7 crank is the perfect option for LS builders looking for strength, a 4-inch stroke, and an extended crank snout to facilitate OEM dry-sump setups.